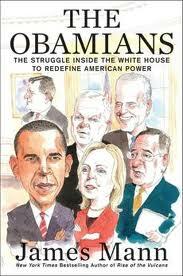 This book is a review of Obama's first term, published in June 2012 in time for the presidential election. The author, James Mann, previously published Rise of the Vulcans, the equivalent book at the equivalent time for President Bush's re-election. The problem with those types of books is their short shelf-life: What remains relevant after the election? We answer by focusing on Hillary Clinton and Joe Biden, two contenders for the 2016 presidential election who are featured here. This book does provide some insight into major events of Obama's first term -- and some insights into how Biden and Clinton participated in those major events too. But there's way too much focus on the 2008 election -- it often feels like a rehash of the Democratic primary (which featured Obama, Biden, and Clinton). There were plenty of books about the 2008 Democratic primary -- for example, Game Change and The Battle for America 2008 -- published well before 2012 -- why re-analyze several year old history just in time for the re-election campaign? McCain's decision to appoint Sarah Palin as his vice presidential nominee and her own utterances on foreign policy ("I can see Russia from my house") made it all but impossible to claim that he was the cautious, conservative candidate. They're our next-door neighbors, and you can actually see Russia from land here in Alaska, from an island in Alaska. Palin was pointing out that Alaska borders Russia, and she was correct. It would be fair for Mann to mock Palin for ignorance of foreign policy based on misstatements she actually said -- but it is unfair to use that phrase to mock Palin, since Palin never said it. And Mann knew that. And therefore Mann expresses anti-Republican bias. And that bias casts suspicion on his otherwise solid analysis. Barack Obama: Engage with Iran; but combat Al Qaeda in Pakistan. Barack Obama: Focus on BRICs: Brazil, Russia, India, China, & South Africa. Barack Obama: Avoid trap of military overstretch; that destroys countries. Hillary Clinton: America is the "indispensable nation". Hillary Clinton: Ceremonial role abroad as First Lady, but no NSC meetings. Hillary Clinton: Focus on BRICs: Brazil, Russia, India, China, & South Africa. Hillary Clinton: Freedom of navigation & open access in South China Sea. Hillary Clinton: New American Moment: new ways of global leadership. Joe Biden: GOP too tough but not smart; Dems not tough enough. Joe Biden: VP role: bring experience, but not deciding voice. Sarah Palin: FactCheck: Never said, "I can see Russia from my house". Barack Obama: Skeptical on whether China feels bound by global trade rules. Gerald Ford: 1970s CIA assassination efforts led to ban on assassinations. Hillary Clinton: Smart Power: blend of military power and soft power. Joe Biden: 1970s: control CIA from outside; 1980s: time to lay off. Richard Nixon: 1969: Doing away with draft undercut antiwar movement. Barack Obama: Appointed Clinton & Biden as "team of rivals," like Lincoln. Democratic Party: Trout Fishers: 1990s generation of foreign policy wonks. Hillary Clinton: Appointed by Obama as "team of rivals," like Lincoln. Hillary Clinton: Vietnam converted her from conservative to liberal. Barack Obama: Media change since Clinton: intravenous Internet news feed. Hillary Clinton: Condemned China's use of Internet to monitor dissidents. Hillary Clinton: WikiLeaks revealed State Department internal documents. Hillary Clinton: Post-WikiLeaks "Apology Tour" to insulted world leaders. Barack Obama: OpEd: Calling Iraq "a dumb war" left open "smarter war". Barack Obama: Iraq was a rash war, based on politics, not on reason. Barack Obama: 2008 trump card: opposition to Iraq War showed experience. Barack Obama: Expanded CIA drone program for "targeted killings". Barbara Boxer: The price of war is in body bags and babies killed. Democratic Party: Balance between MoveOn anti-war & Bush militarism. Hillary Clinton: OpEd: Iraq war follows tradition of active US leadership. Hillary Clinton: Clinton-Gates combo won push for Afghan surge. Jim McGovern: Switching Afghan generals? "Same menu, different waiter". Joe Biden: Opposed Vietnam but didn't identify with anti-war movement. Joe Biden: 1990 Gulf War: reason enough to send generation to war? Joe Biden: 1990s: Military intervention to stop Bosnia ethnic cleansing. Joe Biden: OpEd: Iraq war follows tradition of active US leadership. Joe Biden: Drones against al Qaeda instead of ground troops. Richard Durbin: 1990 Gulf War: We may be repeating Vietnam experience. Robert Gates: Clinton-Gates combo won push for Afghan surge. Ron Paul: Afghanistan is a totally failed policy. Sarah Palin: War on Iran would end lackadaisical approach to terrorism.